Dr. Leon Noʻeau Peralto was born and raised in Waiākea Uka, Hilo, Hawaiʻi, and is a proud descendant of kūpuna from Koholālele, Hāmākua, Hawaiʻi. He is the son of Joel & Valerie (Miranda) Peralto, and holds a PhD. in Indigenous Politics from UH Mānoa. 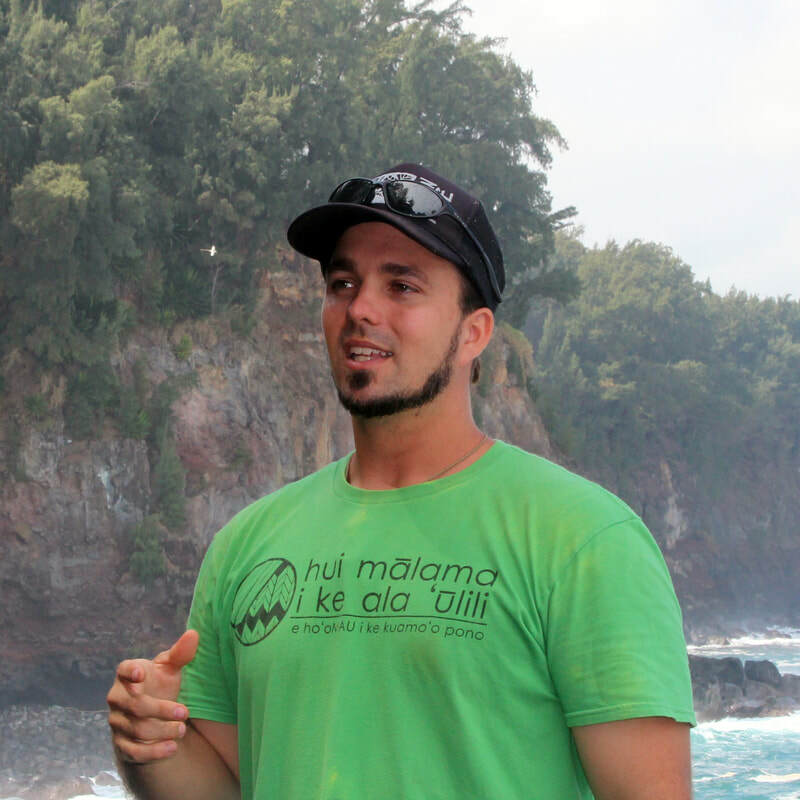 His dissertation research explored the continuity of aloha ʻāina praxis in Hāmākua Hikina through the resurgence work of huiMAU and its founding ʻohana. Noʻeau is a founding member of huiMAU, a storyteller, avid gardener, and the editor of our Moʻolelo no ʻUmi Blog, featuring the story of our famous chief, ʻUmi-a-Līloa. Haley Kailiehu was born and raised in the ʻili of Kukuipuka, ahupuaʻa of Kahakuloa, on the island of Maui. She is a granddaughter of Mary Keliʻipahulio Travis of Kainehe, Hāmākua, and the daughter of Alfred & Ina Kailiehu. Haley is a professional artist, and is currently pursuing a PhD. in Education at UH Mānoa, with a focus in Curriculum Studies. As an artist and researcher she is interested in creating community-centered and ‘āina rich experiences that allow current and future generations of Kanaka ʻŌiwi to (re)learn and (re)establish their kuleana and connections to our moʻolelo and kūpuna. Aunty Loke Alpiche, Kanaka Maoli (Native Hawaiian), was raised in Paʻauilo before moving to Kainehe, Hāmākua, Hawaiʻi, where she now resides. She is the daughter of Primo & Millie Travis Bailado of Kūkaʻiau and Kainehe. Aunty Loke has had the honor of taking care of the keiki of Hāmākua through her six years of work in after school programs in Paʻauilo and her current work at Paʻauilo School. She is grateful to be able to give back to the community she grew up in. Melissa Frazier is the daughter of Rudy & Marlene Palacol, the wife of Genard Frazier, and mother to two beautiful daughters, Azahrae and Ghenae. She loves going to the beach, spending time with God, family, and friends, and enjoys her arts & crafts. Melissa has over 17 years of experience with children and currently resides with her family in ʻOʻokala, Hilo Palikū. A Spring 2017 candidate for graduation with a BA in Performing Arts, Pōlani hopes to continue her education by acquiring a master's degree in Education. Raised in remote Waipiʻo, Hāmākua, she is grounded in the values of her Hawaiian ancestors. Balanced in both ancient and modern ways, Pōlani considers herself a 21st century Hawaiian. 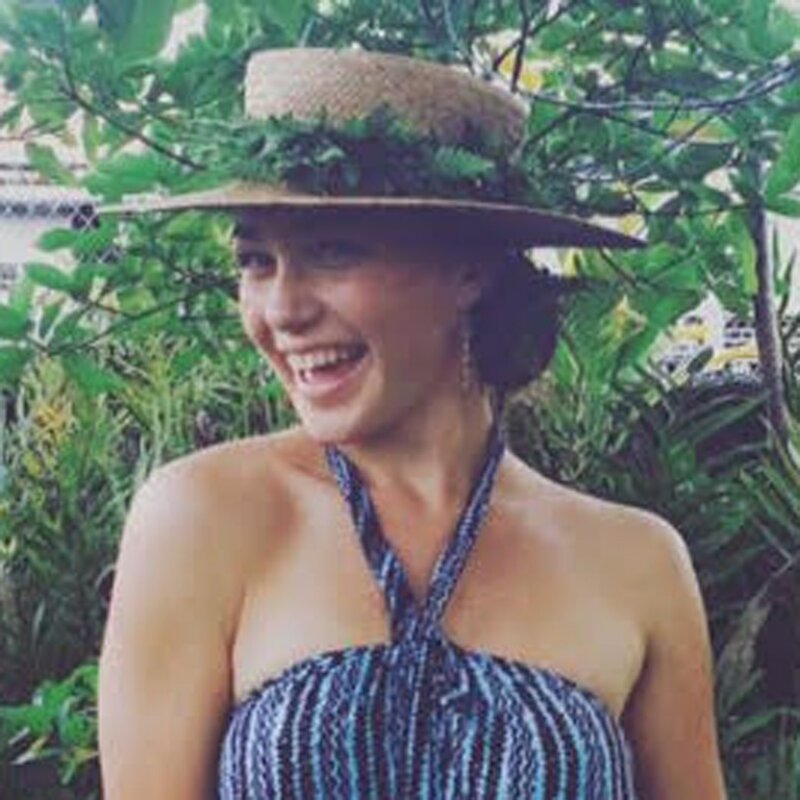 Her aspiration in life is to create her own cultural focused theatre company educating individuals around the world in the culture, language and history of Hawaiʻi.